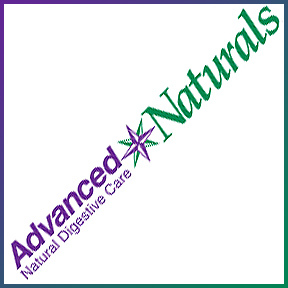 Since 1998, Advanced Naturals™ has formulated superior quality digestive care supplements with the understanding that a properly functioning digestive system promotes overall good health. 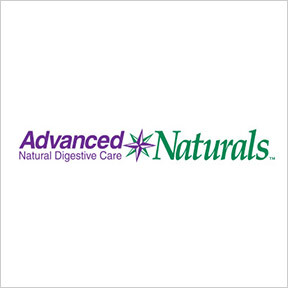 Because digestive care is their sole focus, Advanced Naturals™ concentrates on providing the highest level of natural and effective whole-health digestive care support. Their innovative product line consists of formulations that address a broad range of gastrointestinal health concerns including dysbiosis, inadequate nutrient breakdown and gastro-immune balance. Available exclusively through health care professionals, Advanced Naturals™ pharmaceutical grade formulations are manufactured under strict GMP guidelines. Their high potency probiotics, superior enzyme formulas, essential fatty acids, fiber supplements and internal cleansing formulas contain only naturally active ingredients. All products are free of contaminants, pesticides, herbicides, heavy metals and PCBs. No added binders or fillers are utilized and their cutting edge manufacturing process eliminates the need for flow agents, lubricants and excipients, further ensuring the purity of the products. DigestMax – Suitable for all who want to maximize nutrients in their diet, DigestMax contains 10 plant-based digestive enzymes along with herbs and nutraceuticals for complete digestive support. CleanseMax – This advanced total body cleanse formula supports the body’s natural cleansing process with 15 herbs which aid in liver detoxification, and 8 natural ingredients which cleanse the colon and support the body’s elimination channels. Colon Max – Rated 5 stars by our customers, this product provides a unique and natural herbal and magnesium solution to stimulate and strengthen bowel contractions and relieve occasional constipation. Ultimate Flora Max 30 Billion – Another customer favorite, this high-potency, daily care formula contains 30 billion live probiotic cultures per capsule. These 10 beneficial probiotic strains include a higher level of Bifidobacterium for relief of digestive discomfort, maintenance of digestive balance and overall health support. Super Critical Omega – This prescription-strength, super-concentrated Omega-3 formula is enhanced with vitamin D in support of cardiovascular, immune and joint health and a more normal inflammation response. Organic Triple FiberMax Powder – This 100% organic product contains a blend of 3 key types of fibers that promote regularity and support digestive, cardiovascular and overall health.